CSA stands for Community Supported Agriculture. At its most basic, it is a farming model that directly links the consumer with the farmer through a membership or “share”. CSA also incorporates the ideals of buying local and contributing to a sustainable economy. When you become a member of a local CSA you are directly contributing to your local economy and helping reduce your carbon footprint. You know exactly where your food comes from. You know exactly how it is grown and whether it was produced with chemicals. In our case, we use NO chemicals for pest control and all natural, local fertilizers. We use strict organic methods on our farm. There are many advantages to becoming a member of a CSA. The first and probably most important is receiving the freshest most delicious, nutritious, UNprocessed produce available. 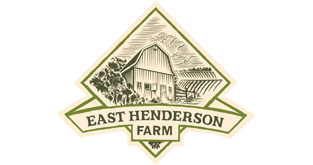 Members become intimately involved in the farm and usually visit at least once during the season to see how the farm works, where and how their food is grown, harvested, and distributed. Most members are introduced to many new and unique varieties of vegetables they haven’t had the opportunity to cook with or eat fresh. The concept of eating seasonal, or “with the seasons” is integrated at every level as we can grow what is appropriate for our Minnesota climate. And lastly, many people have a tremendous sense of pride in contributing to their local economy and becoming a part of a sustainable agricultural model that works.